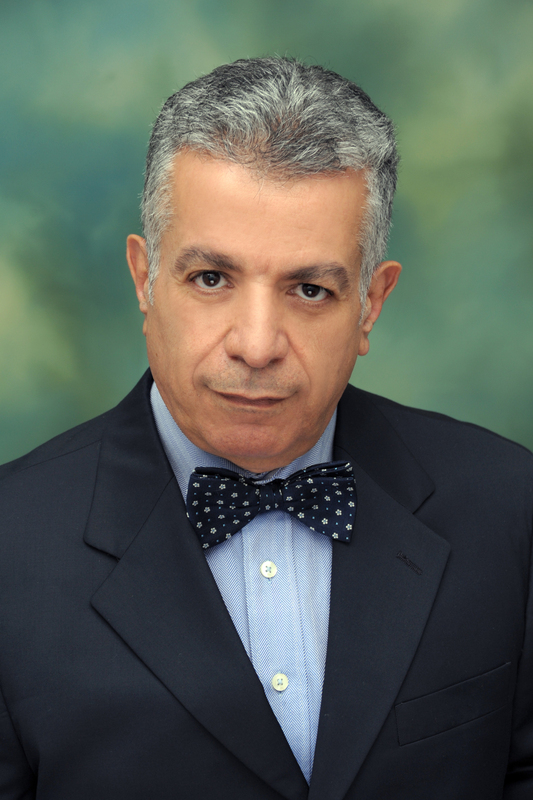 Professor Djamel Eddine Laouisset is a Canadian Professor at Alhosn University Faculty of Business. He was Expert at the Center for Research and Studies (UAE), was Expert and Advisor to the United Arab Emirates' Minister of Economy (UAE), was University Vice Chancellor for Graduate Studies, Research and External Relations (Algeria), was Director of Studies and Research at the National Institute for Global Strategic Studies (Algeria), was Advisor to the CEO of the Algerian Development Bank (Algeria), and was Expert-Trainer at the Arab Iron and Steel Union (Arab League-Algeria). He taught at the Universities of Constantine, Annaba (Algeria), Tunis (Tunisia), Tripoli (Libya), Ajman and Dubai (UAE). He holds a Bachelor degree from the University of Algiers (Algeria), two Master's degrees, and a Doctorate from the University of Miami (USA). Professor Djamel Eddine Laouisset was a Member of the National Scientific and Technology Research Council (Algeria).